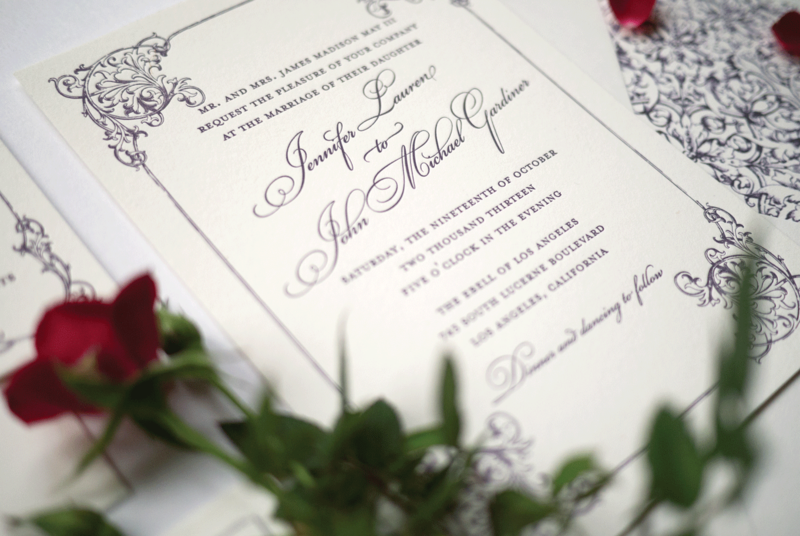 Edwardian and Victorian style invitations give a nod to the golden age of elegance and indulgence. 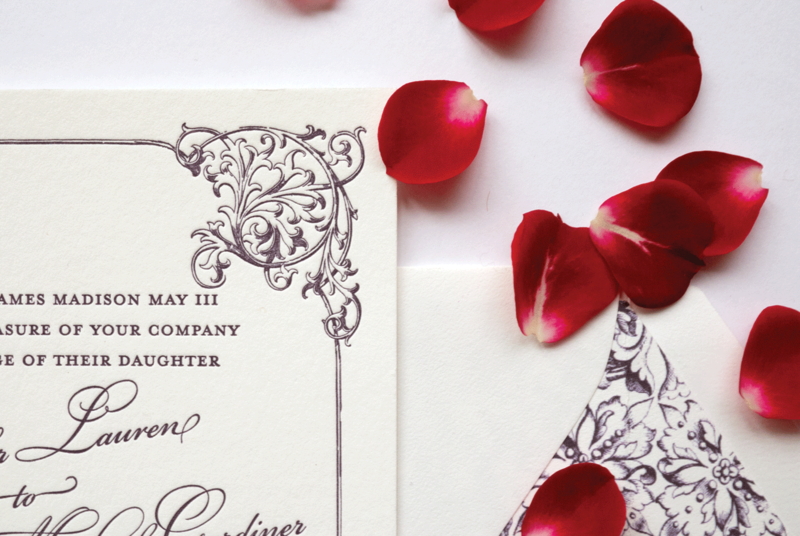 This vintage wedding invitation was inspired by natural forms and curved lines. A perfect combination for the romantic bride. Letterpress and flat printed on cream cotton card stock. 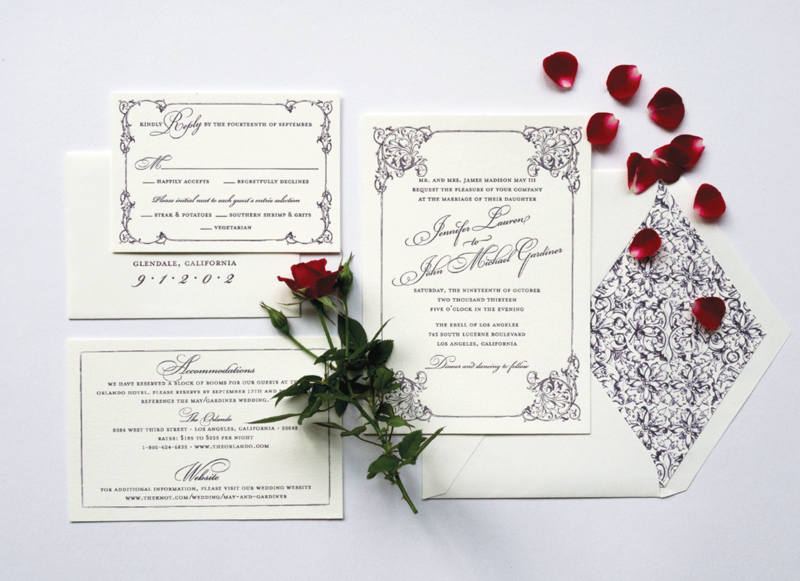 Wedding suite includes an invitation, envelope with custom printed liner, accommodations card and rsvp set.